Bidding farewell to one’s 20s can be hard, especially when it was filled with love, breakups, regrets and pain. It’s hard to move on because it reminds people of the most passionate and innocent times of their lives. On the verge of entering his fourth decade in life, Jun. K reflects on the rollercoaster that was his 20s in his new album “My 20s.” The album is testament to the singer’s life that has not been very different from those of others, except that he didn’t have much opportunity to share his life as Kim Min-jun, singer‘s real name. Instead of heavy philosophical introspections, the self-produced and self-written album kicks off with an upbeat romantic track “I Will Tell You Honestly,” which portrays the fluttering heart of a man in love. And just like any other man in his 20s, Jun. K goes through a breakup and endures pain in “From November to February” and “Moving Day.” Lyrically, those two tracks amply represent the singer’s sensitivity and honesty in expressing his emotions, offering a peek into his past romance. Then the singer spills his deepest thoughts about his turbulent life as an idol star in “Why,” the lead track on the album. Through those tracks, the singer shows that behind the fancy image of a 2PM member lies the human Jun. K, who contemplates on his life and dreams, just like others. 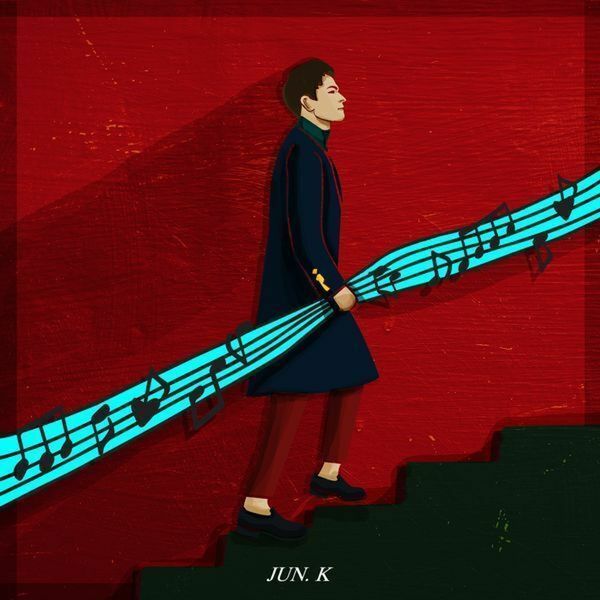 The album marks an important step in the career of Jun. K who will join the military next year, serving as a preview of his upcoming music, one that is candid and down-to-earth.